The Red Army captured Vilna on the 19th of September 1939. On the 10th of October it was made known that Vilna was to be transferred to independent Lithuania. Free movement to Vilna was possible until the end of October and thousands of Jews took advantage of the opportunity and moved from Polish territory, which was under Soviet rule, to Vilna. Among them were the leaders of the Zionist parties, youth movement members and yeshivas together with their Rabbis. The border between Lithuania and the Soviet Union was closed in mid-November 1939. From that point on the border could only be crossed illegally. In the eight months of Lithuanian rule, 12,000 – 15,000 Jews fled to Vilna, predominantly from Polish areas captured by the Soviets, among them over 2,600 members of Zionist youth movements. Vilna was a hub of diverse Jewish activity and became an important Jewish centre; maintaining links with Jewish centres both in Lithuania and around the world including the communities in Soviet territory and communities in Poland under Nazi rule. Representatives of the Jewish political parties, the Zionist leadership and yeshiva students of were all concentrated in Vilna. 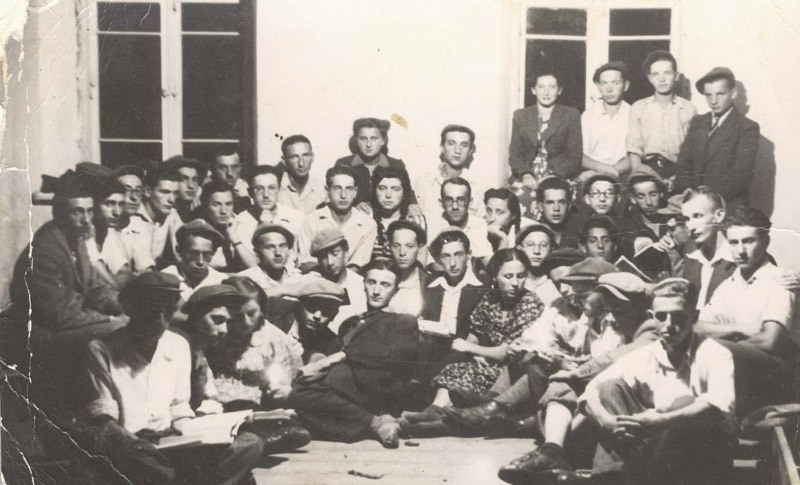 The collected leadership of the youth movements in Vilna – Hanoar Hatzioni, Hashomer Hatsair and Dror Hechalutz - organised an umbrella organisation, "The Coordination of Pioneering Youth Movements". The Coordination helped its members to obtain certification, accommodation and employment and also organised the distribution of immigration permits to Eretz Israel. Approximately a thousand Jews left Vilna during the period of Lithuanian rule. The Lithuanian government allowed and even assisted cultural Jewish activities. Three daily Jewish newspapers were published in Vilna and a Jewish Historical Committee was established to collect witness testimonies and evidence of antisemitic activity in the areas of Poland under Nazi occupation. In mid-June 1940 Vilna was transferred to the Soviet Union and the widespread Jewish activity was brought to a stop. On the first of July 1940 all movements and political parties, other than the Communist party, were declared illegal. Jewish and Zionist institutions were closed and Bundist Jews, Zionists and anyone defined as "Bourgeois" were exiled to the depths of the Soviet Union, where many were imprisoned in camps. The youth movements continued their activities underground. For the most part, the individual movements acted independently and the "Coordination" ceased to exist. Jewish refugees from Poland began leaving Vilna, with permission of the Soviet authorities and with the assistance of the Japanese Consul Sempo Sugihara, the Dutch Consul Jan Zwartendijk and the British Consul Gant, who issued visas to Eretz Israel. During the Soviet period, approximately 4,000 Jews succeeded in leaving Vilna. Some reached Eretz Israel via Moscow and Shanghai, others travelled through Moscow, Odessa and Turkey. 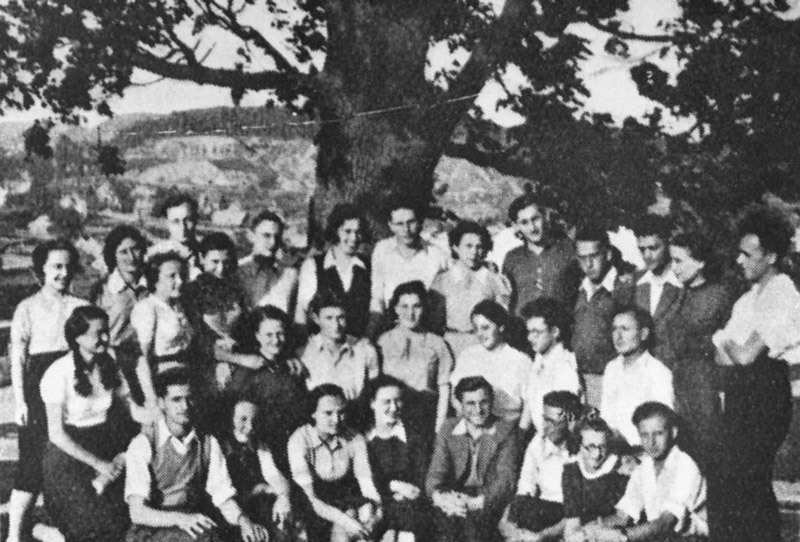 Among them were around 130 graduates of the Zionist youth movements, some with legal papers and others with papers that had been forged for them at the movements' headquarters in Vilna.